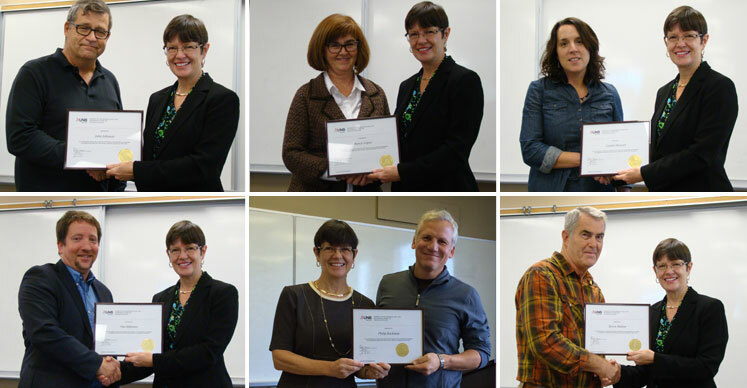 UNB Saint John’s faculty of science, applied science & engineering Departmental Awards for Teaching Excellence (DATEs) were recently presented at Faculty Council on November 30, 2015 by Dean Ruth Shaw. Six faculty members were recognized for this important achievement: John Johnson (biological sciences), Nancy Logue (nursing & health sciences), Connie Stewart (computer science & applied statistics), Tim Alderson (mathematical sciences), Phil Backman (physics) and Byron Walton (engineering) were all honoured for their excellent and innovative teaching. 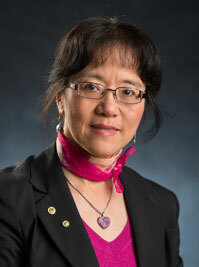 Li-Hong Xu (physics) received the Faculty Excellence in Teaching Award (FEAT) in recognition of her innovative approach to teaching physics last year and her corresponding superb student feedback. Li-Hong was also one of four winners in the Teaching Matters’ 2014 Change One Thing Challenge.